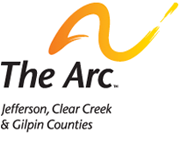 The last issue of The Arc Independent indicated that our holiday party would be held on Dec. 19th. This date has now been changed to Monday, Dec. 18th. Please update your calendars. The annual holiday party is a fun opportunity for families, professionals, and self-advocates to get together to eat and be merry! Please RSVP to info@arcjc.org if you would like to attend.